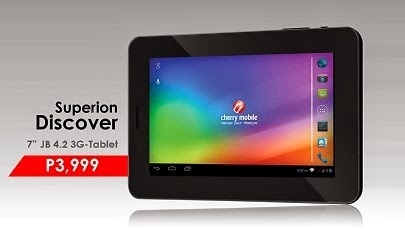 Cherry Mobile Superion Discover is one of the latest Cherry Mobile Tablets. Powered with a dual SIM capability, though its still unknown whether the 2 slots will support both 3G and call functionality, one thing is for sure, its way cheaper than well known brands with the same specs. Most specs are unveiled already, but the GPU is yet to be announced, most likely a Mali-400 GPU, the same GPU found on Samsung Galaxy S2, hopefully it would be that way. The design doesn't give that much hype though. Anyway can we still complain with that price with lots of features. 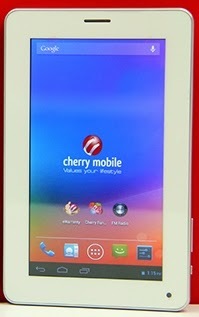 Cherry Mobile Superion Discover is priced at Php3,999 (SRP), available next week (3rd week October) nationwide.